Saturday February 9, 2019-Deputy President William Ruto has finally responded to the cancellation of his dinner event with Kenyans living and working in the United Kingdom, saying it had to be done. 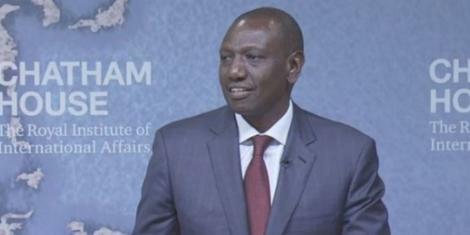 The DP apologised for the cancelled meeting he was to have with Kenyans in London. He promised Kenyans in the UK that he would make it up to them for the cancellation when he goes back to that part of the world in near future. On Wednesday, the Kenyan Embassy in London cancelled Ruto’s event in which he was to meet Kenyans without any explanation raising more questions than answers. But now the DP has clarified that the cancellation was to allow him to fly back to Kenya to hold brief for Uhuru who was travelling to Ethiopia on Saturday.